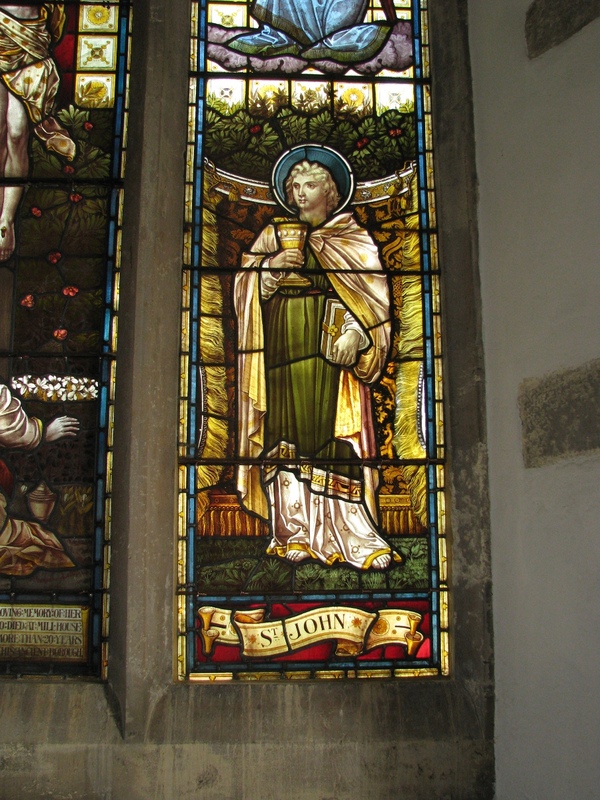 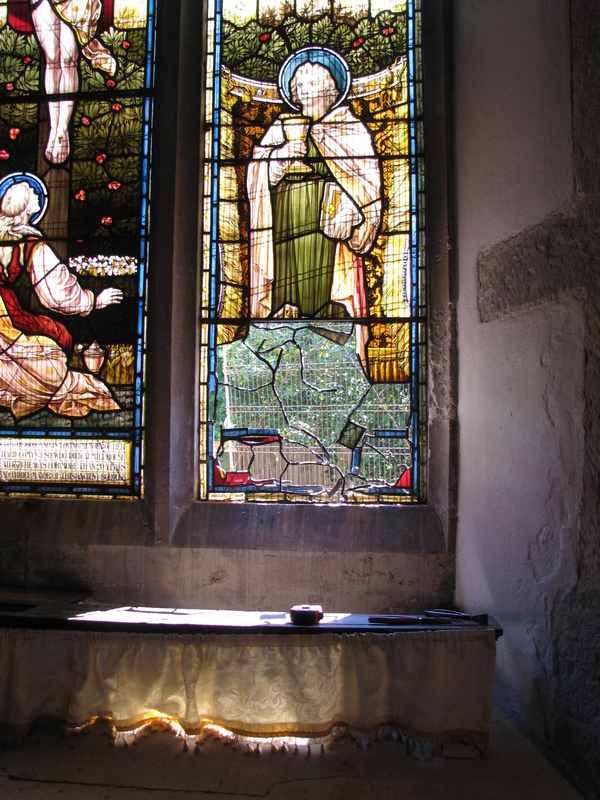 This window at Holy Trinity Church in Queenborough is a late 19th Century window, depicting Saint John. 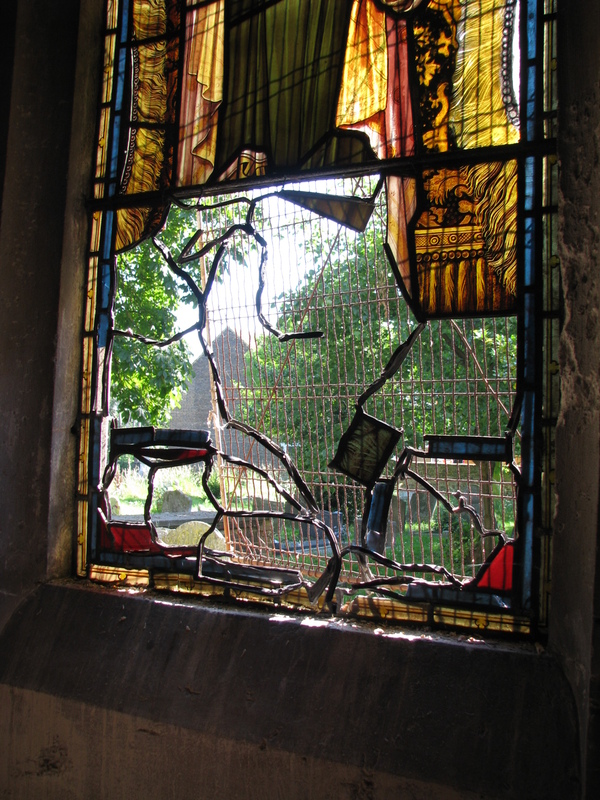 It was badly damaged and required a large amount of reconstruction and repainting of missing glass. 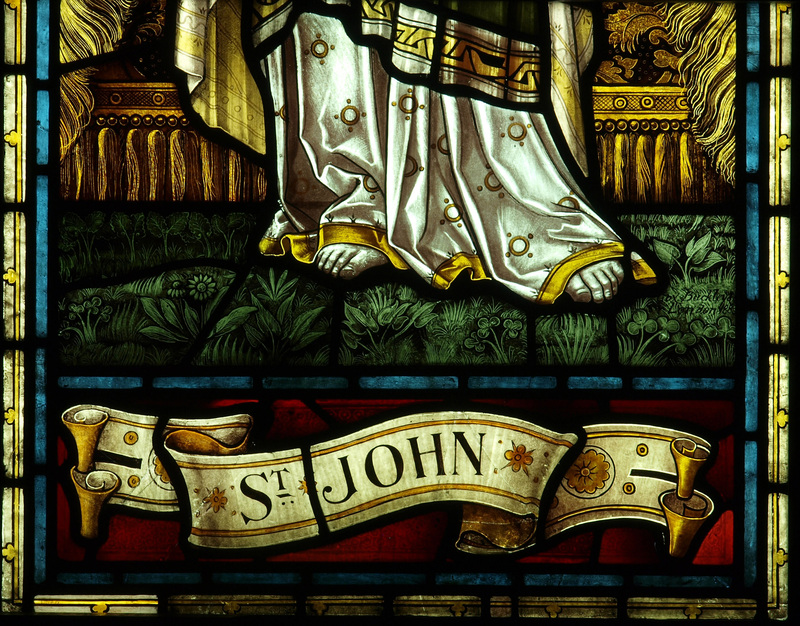 The reconstruction of the image was made by referencing the surviving fragments of glass to recreate the image and repaint the lost glass.